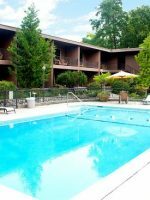 Located in the heart of Grants Pass, the Redwood Hyperion Suites is tucked within the borders of award-winning gardens, water features, and towering Redwood trees. Amenities abound. 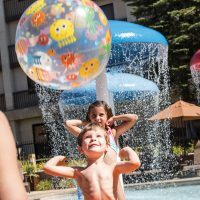 They include a complimentary continental breakfast, heated seasonal outdoor pool, year-round hot tub, fitness center that includes foosball and Ping Pong tables, basketball area, family picnic area, play area and swings, fire pit, spacious grounds with paths, coffee and tea service in the lobby, and free Wi-Fi. The rooms are spacious, coming in “standard,” “suite,” and “extended stay suite” choices. The standard rooms sleep up to four (two queen beds is best configuration) and includes a microwave and mini-fridge. Regular suites can sleep up to six with king and queen beds in various combinations, living rooms, and efficiency kitchens. The Extended Stay Suites sleep four or more, featuring two bedrooms, full living room, full kitchen with a dining table, whirlpool tub, and fireplace (requires a 3-night minimum stay). The rooms are clean and comfortable, but kinda dark. Management is super helpful. The breakfast was average. I've stayed there twice now and will probably stay there again.We did not use the pool or spa. A just the way we planned it night. 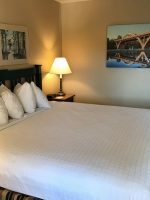 We are a local couple who wanted to stay in a suite with a Jacuzzi and found the suite very inviting. The suite had 2 rooms. The robes hanging in the closet and the dishes and silverware in the kitchen were a surprise to me! The grounds were beautiful and very well managed. The staff was great. Always greeted us with a smile. We will stay there again. 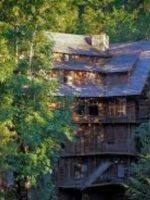 I will recommend Redwood Hyperion Suites to my family and friends.